Fine Cooking Magazine is for people who love to cook and have a keen interest both the process of cooking as well as, the tools and techniques of the kitchen. Each monthly issue delves into a variety of cooking topics with the dual aim of improving your cooking and having fun – simple to spectacular entertaining menus; 2 new ways to cook beef tenderloin; 12 great side dishes; easy one-pan pork & vegetable roast, impressive desserts… each issue is a mini collection of recipes meant to be enjoyed now and kept for future reference. 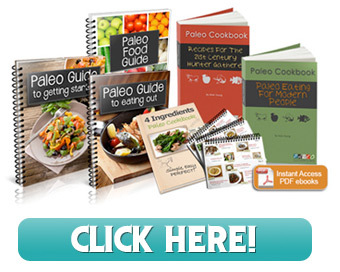 Each feature article provides expert advice and ample illustration on the technique and offers a few recipes to help one perfect that technique. In addition to the fine recipes in each issue there are also articles on a range of topics that appeal to cooks from kitchen design, cool kitchen tools, product testing and recommendations from their test kitchen. The layout is clear, crisp and colorful and although the contributing editors are often big names in the culinary world the focus is always on the food and preparation geared for the home cook. A nice feature is their 1 page ‘quick & delicious’ pull out in the back which give a handful of recipes only that can be torn out and kept in a binder for easy reference. Fine Cooking is a reliable source for both recipes and cooking information and is a particularly good choice for those wanting to learn more about the principles of good cooking and improve their level of cooking. 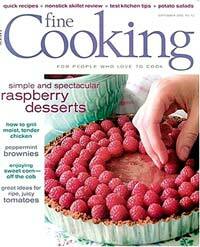 They also publish special edition magazine such as “Holiday Baking” that are equally invaluable.